The way they weep and vomit without warning, it's tempting to think that preschoolers are incapable of rational thought. 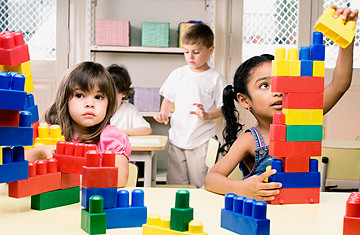 As biologist and emeritus Harvard professor Edward Wilson has written, a prevailing view  one promoted by the famed developmental theorist Jean Piaget  has long been that very young children are "reflex-dominated" and "egocentric": in other words, they see little outside themselves until they reach the age of reason (usually considered to be about 7). But a paper published recently in the journal Psychological Science shows that very young children can be far more attuned to the "desires, preferences, beliefs [and] emotions" of others, including adults, than the Piaget theory assumes. The paper suggests that young children possess a skill many adults assume they lack: they are able to judge when a human behavior is statistically probable versus when it is unusual. Very young kids, it turns out, often know when adults are not acting as they usually do. Three psychologists  Tamar Kushnir of Cornell; Fei Xu of the University of California, Berkeley; and Henry Wellman, who chairs the Center for Human Growth & Development at the University of Michigan  conducted the two experiments that went into the paper. For the first experiment, the scientists recruited 72 preschoolers (average age: 4 years, 1 month) from a small, unnamed Midwest city. They put the kids into a room with various boxes containing two different types of toys such as small plush baseballs and basketballs. The kids were told that a puppet that looked liked a squirrel (which was creatively called "Squirrel") liked one group of toys  either the baseballs or the basketballs  but not other. The different boxes in the room contained different proportions of the two types of toys. The conditions of the game changed with different groups to ensure randomness, but just for purposes of explanation, let's look at the group of kids that was told that Squirrel liked to play with baseballs and not basketballs. Three boxes were opened in front of the kids. One had only 18% baseballs; another contained half baseballs and half basketballs; the last had all baseballs. The children were then asked to pick toys for Squirrel. And something interesting happened: when the boxes containing only 18% baseballs were opened, the preschoolers usually chose to give one of the baseballs to the Squirrel. When the boxes contained half baseballs were opened, the kids would sometimes pick one for him and sometimes pick a basketballor do nothing. And when the boxes that contained all baseballs were opened, the kids would often just sit there. Maybe they would wanly hand a baseball to Squirrel. After all, didn't Squirrel understand his own preference? He could take whatever he wanted on his own. For the researchers, this was evidence that preschoolers can understand how other people's desire works: they can take what they want. The authors say this is the first scientific "evidence that young children can use intuitive statistical abilities to infer a psychological causea preference." Anyone who has ever had to mind children sharing toys in a sandbox may argue they have seen similar behavior, but this is the first time we have clear data that kids pay attention to proportions when they think about preference. Even preschoolers, in other words, can see that some people might need more help getting what they want when less is available to them. See seven iPhone apps for new moms.